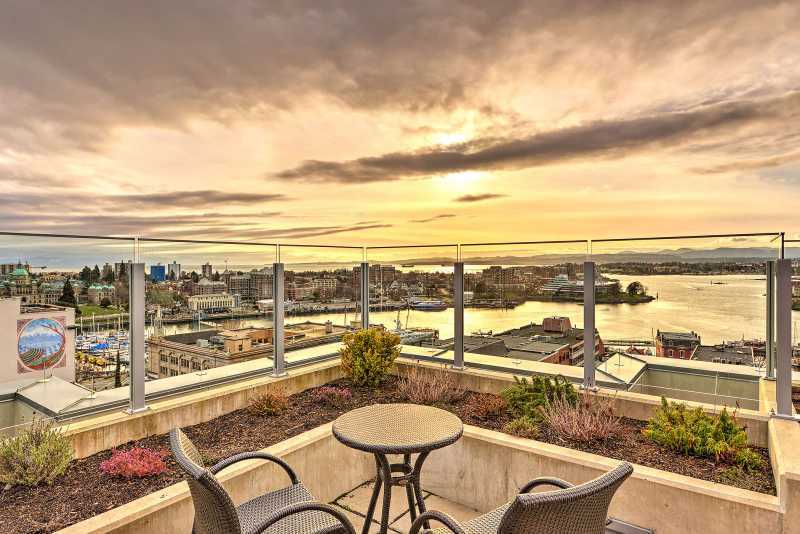 The Sovereign Terrace Executive Condo is a fantastic luxury one bedroom terrace suite in the heart of downtown Victoria British Columbia and mere steps to the World Famous Inner Harbour. 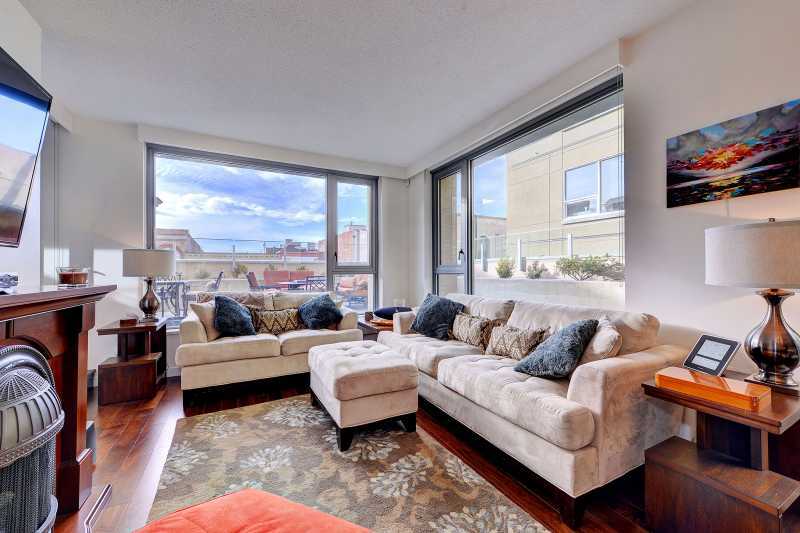 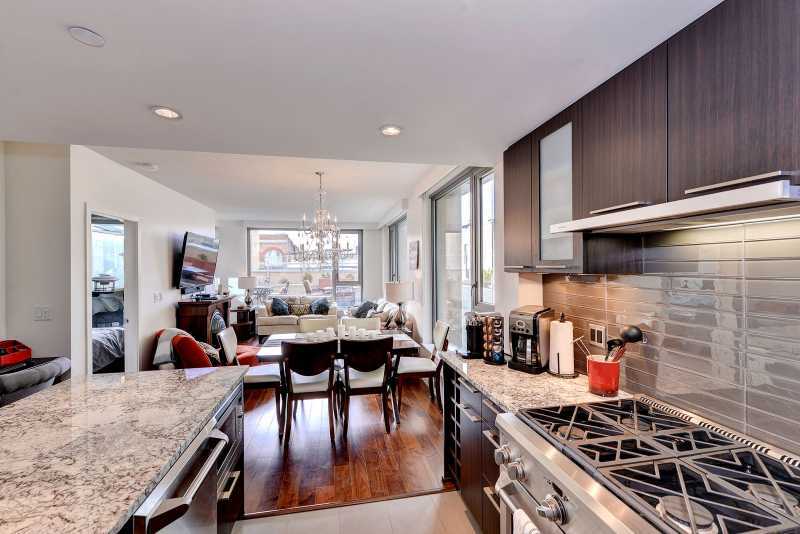 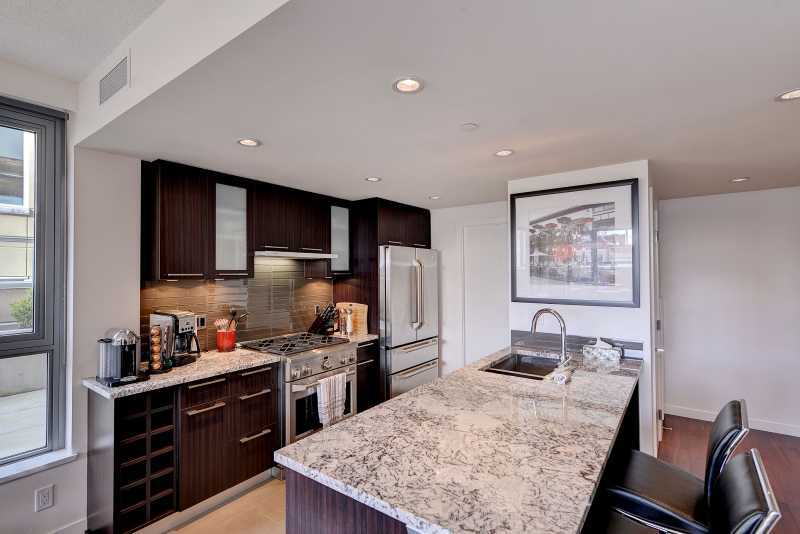 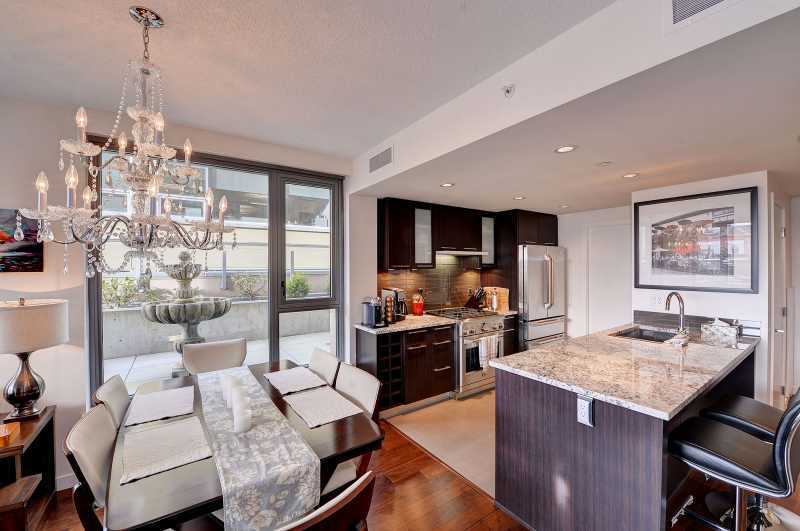 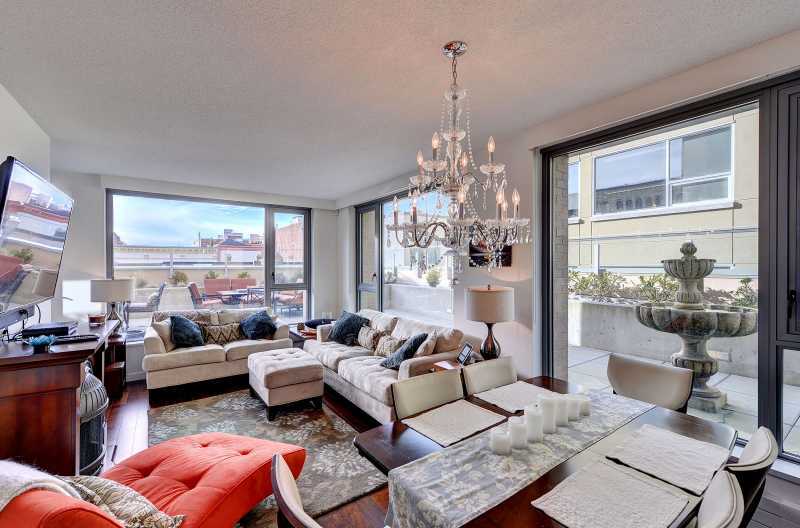 This spacious property is located in one of Victoria's premier luxury condo developments called The Sovereign. 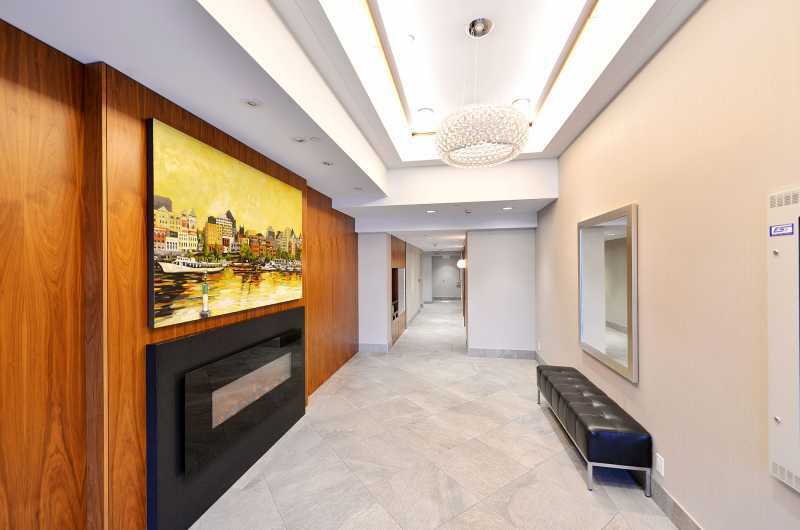 The Sovereign Terrace Executive Condo experience has you enjoying over 1478 square feet of private living space in a corner unit. 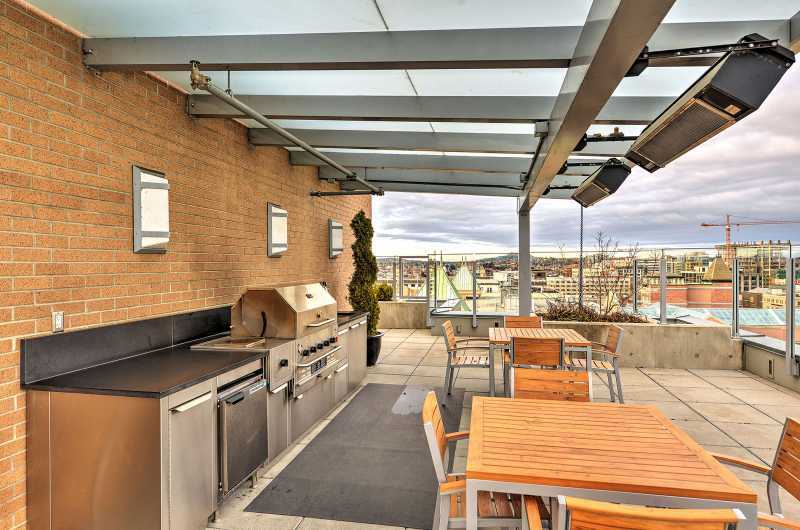 Half of the space is indoors and the other half with a very large wrap around outdoor terrace complete with outdoor tables, chairs, BBQ grill, gas heaters, fountain, and a beautiful seasonal flower garden. 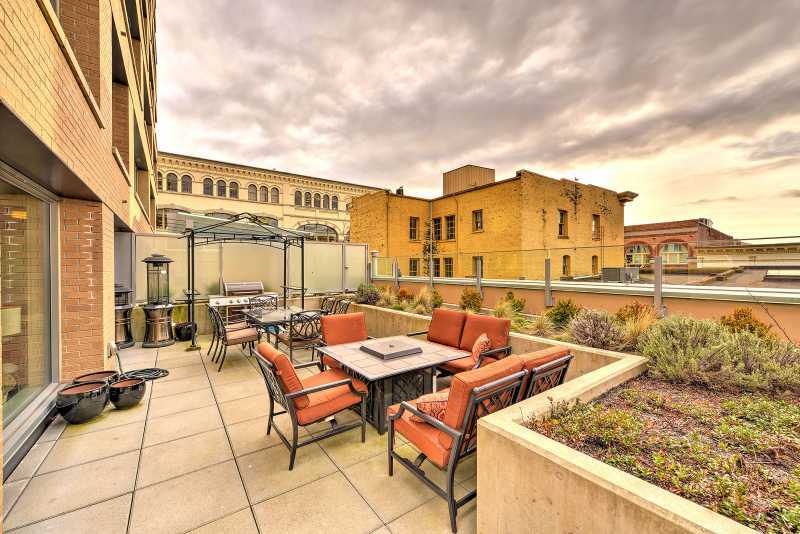 Terrific place for guests that want to be able to have both the indoor and outdoor lifestyle. 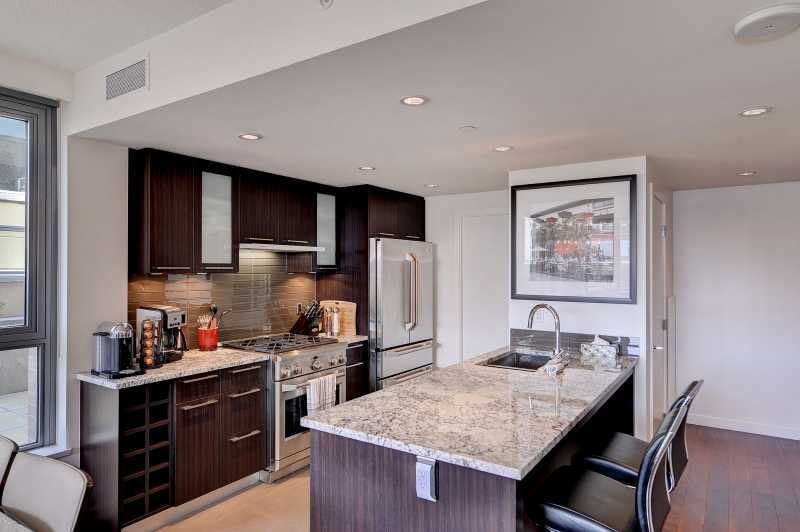 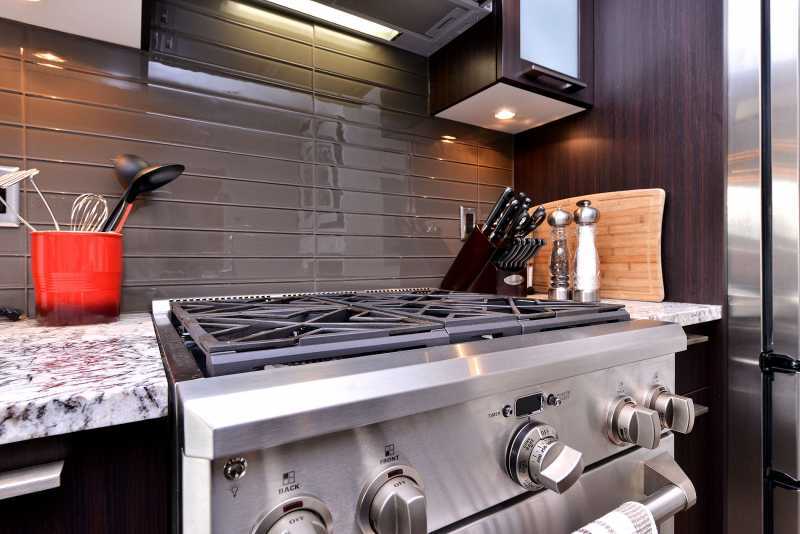 The condo is ultra modern with a very comfortable and spacious open plan living room with large screen HD TV, dining room with seating for six, and fully equipped modern kitchen with the finest appliances and complete with a gas range for the chef in your group. 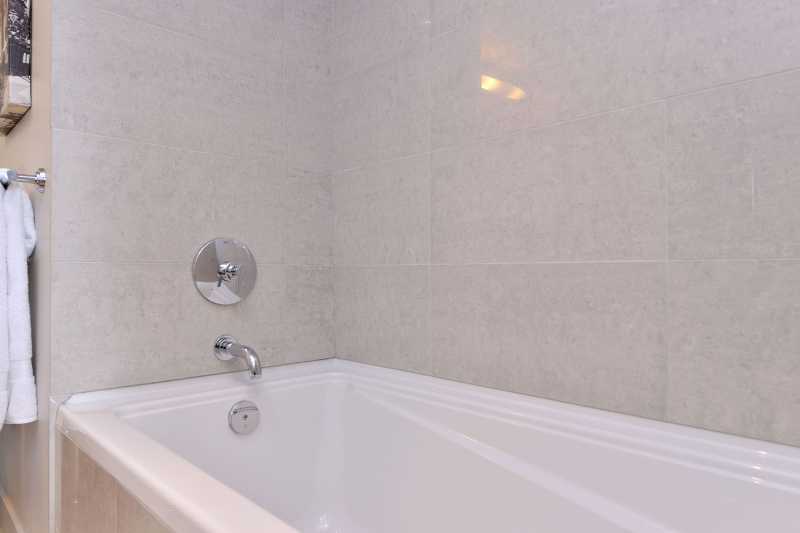 For your convenience the property includes complimentary high speed WiFi, local telephone line, stereo sound system, all utilities, fine towels and linens for your stay. 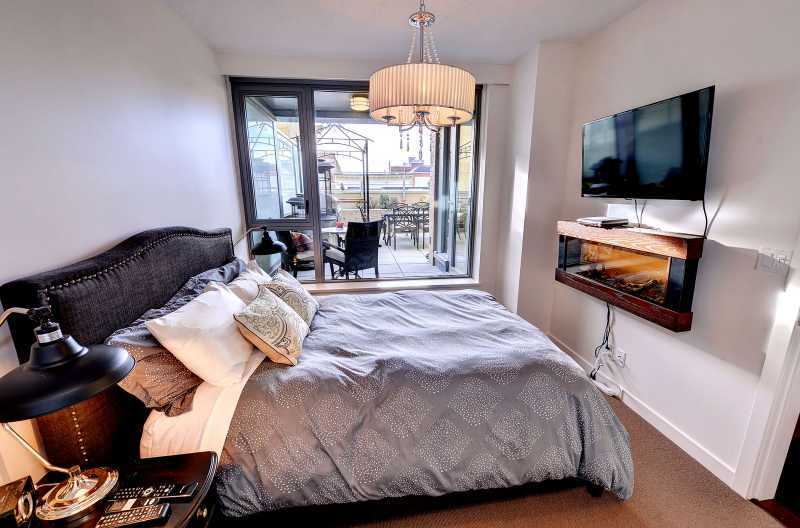 The master bedroom has a very comfortable queen sized bed, HD TV and mood setting electric fireplace for relaxing evenings. 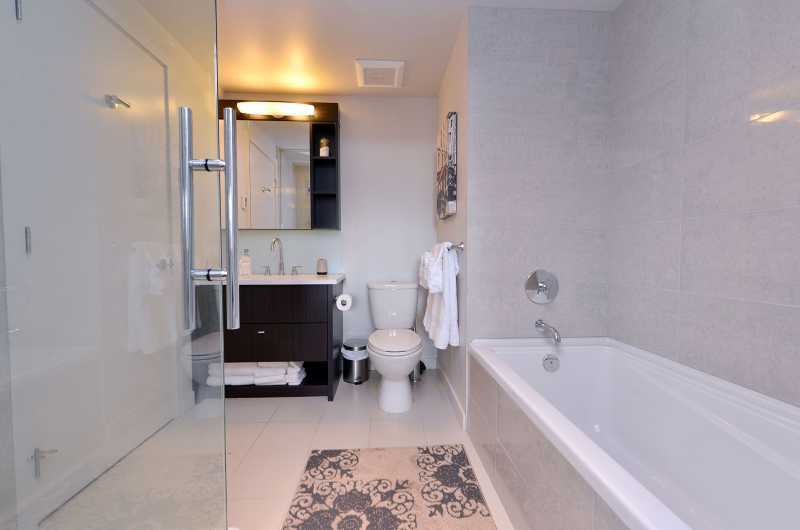 The master bedroom ensuite is perfectly suited for anyone who may have mobility concerns as the walk in shower provides easy access while a full sized tub for guests that wish to soak up some spa inspired suds. 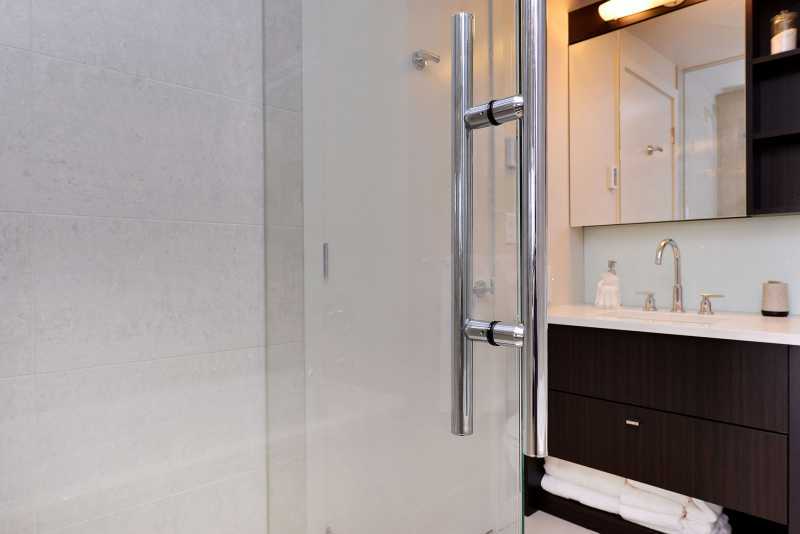 The bathroom does provide a Jack and Jill entrance for both the master bedroom and the main part of the condo. 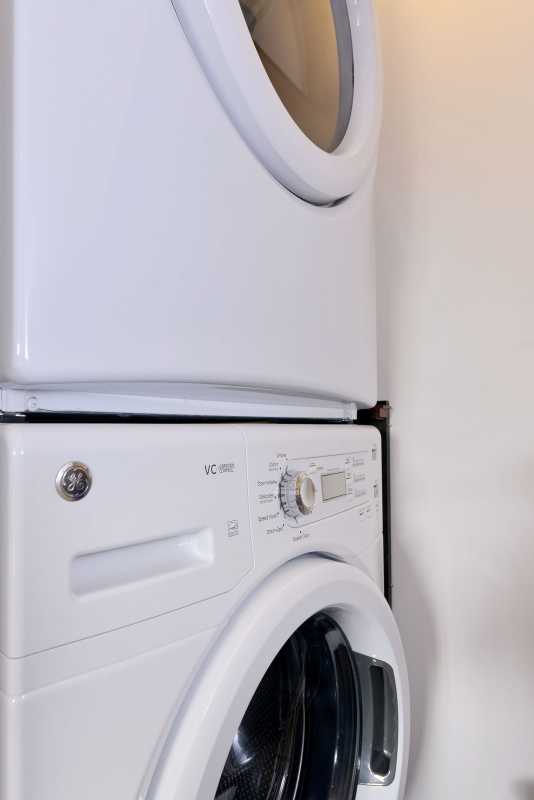 Take advantage for the central air system that is easily set to make the temperature to your liking. 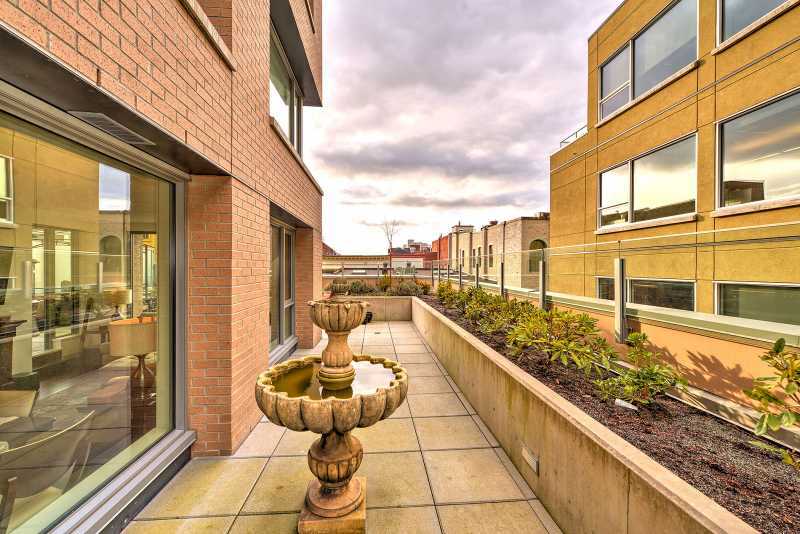 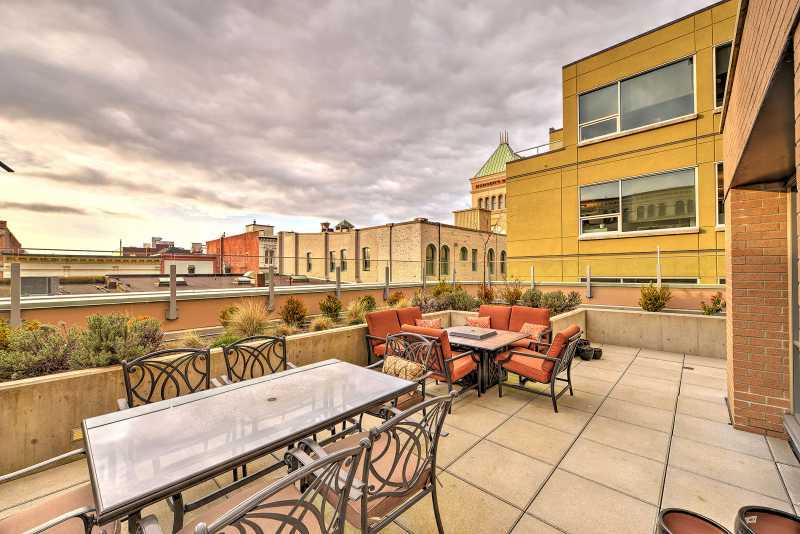 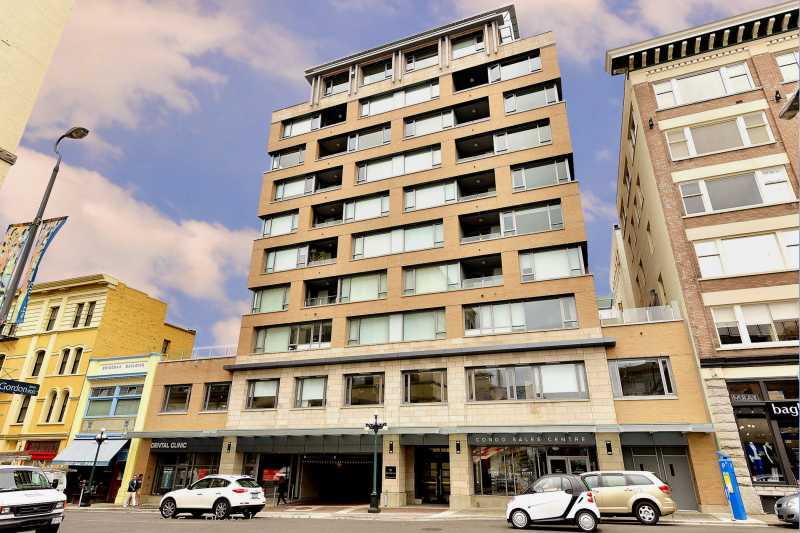 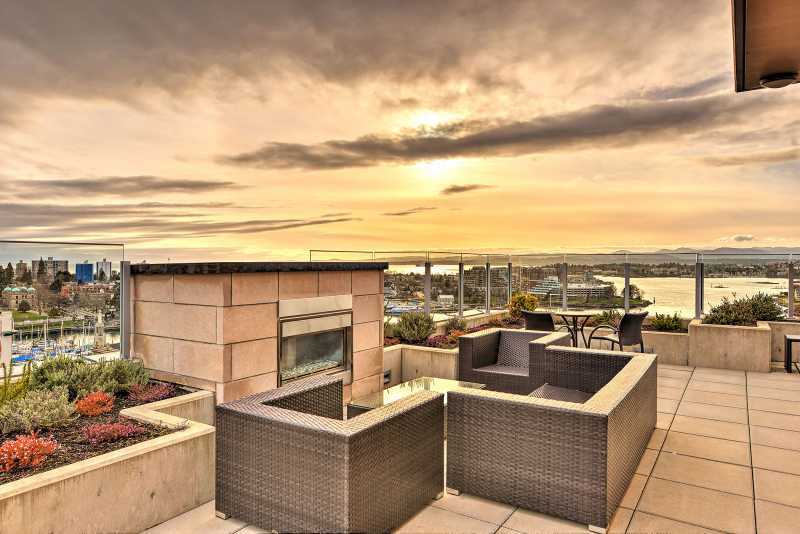 You will find this state of the art condo building is very secure and has some very unique amenities such as a common area roof top patio with sweeping 360 views of Victoria and seasonal BBQ grill and seating space. 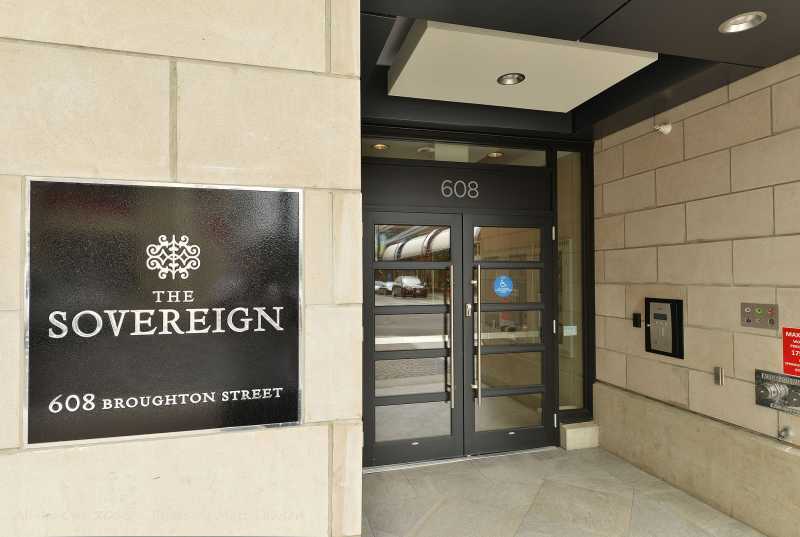 The Sovereign Terrace Executive Condo is steps away from world class shopping, restaurants, and attractions. 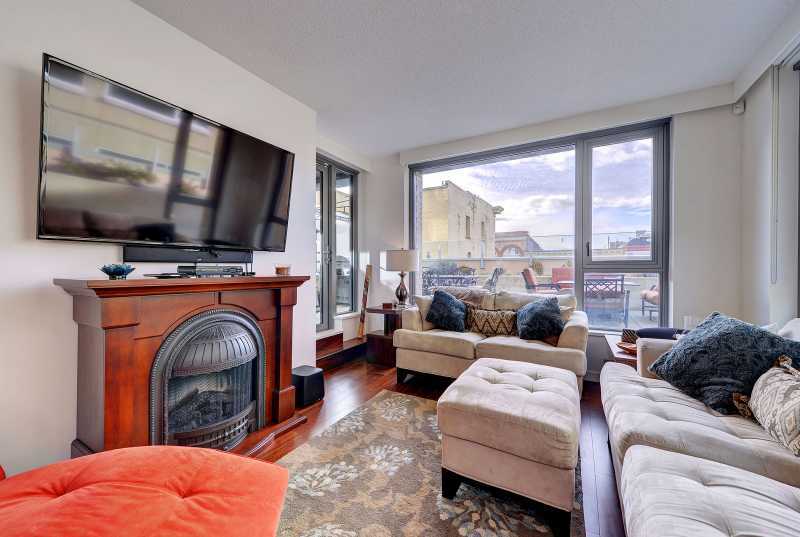 Everything from Old Town Victoria, the Inner Harbour Empress Hotel and Legislative Buildings, the Royal BC Museum, the LoJo District, Market Square, and Canada's oldest China Town all within a few minutes walk away. 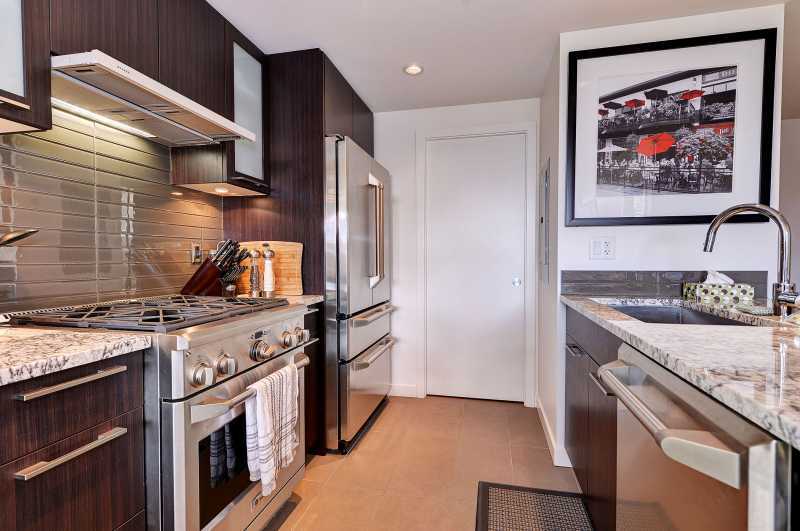 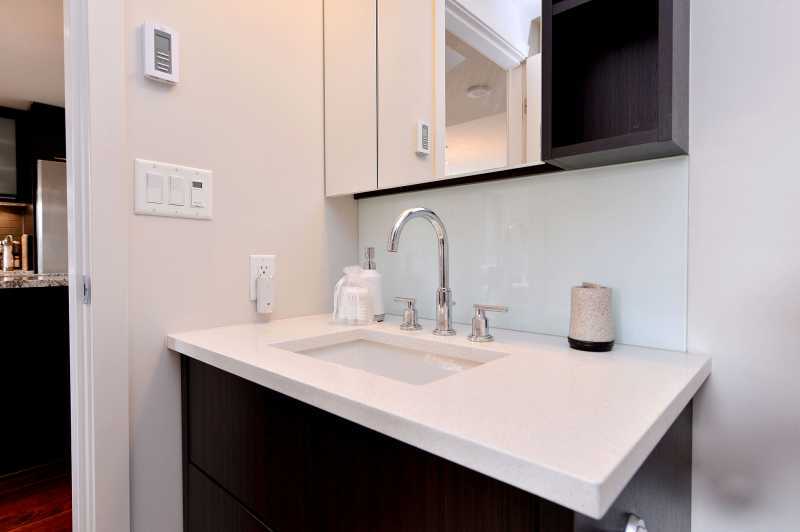 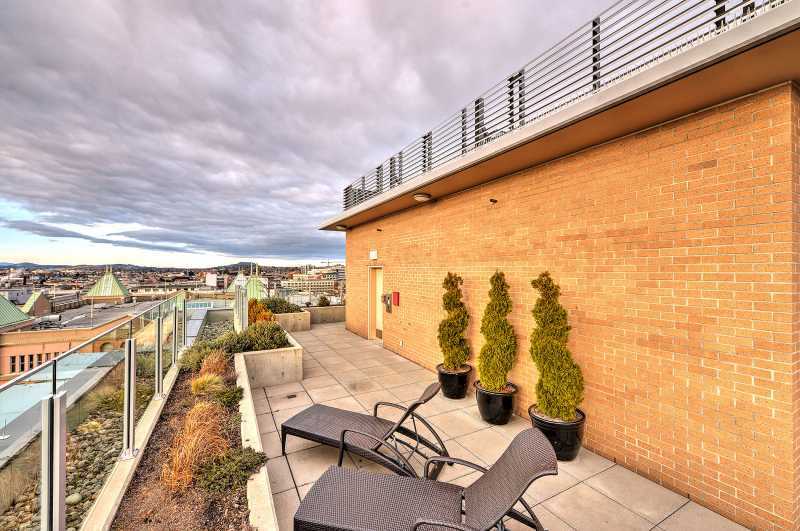 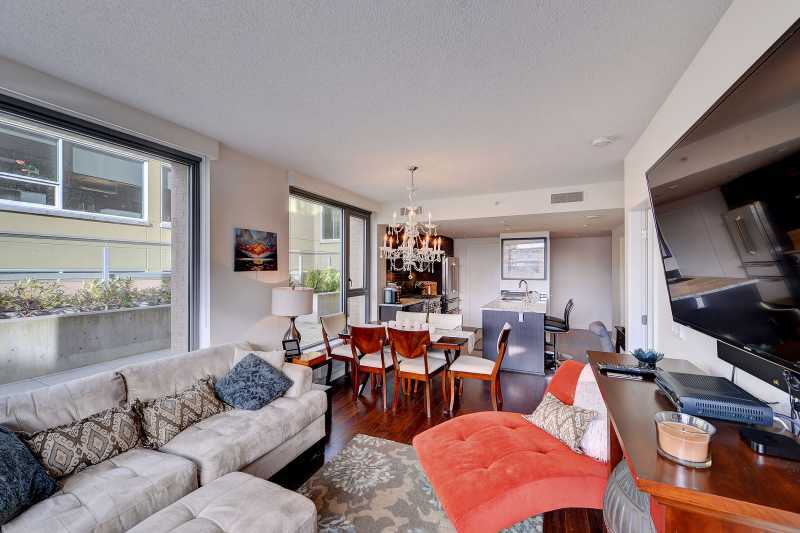 The Sovereign Terrace Condo is the perfect place to call home during your visit to Victoria on business or vacation. 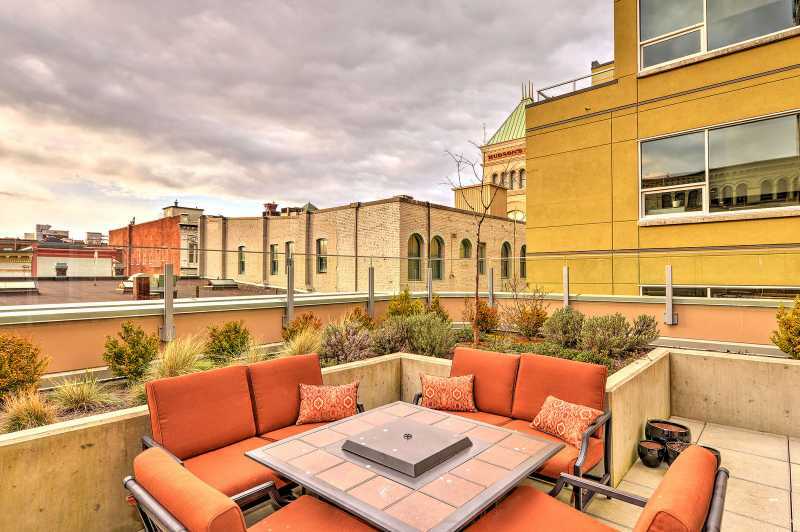 It is a world class place to stay in a world class city. 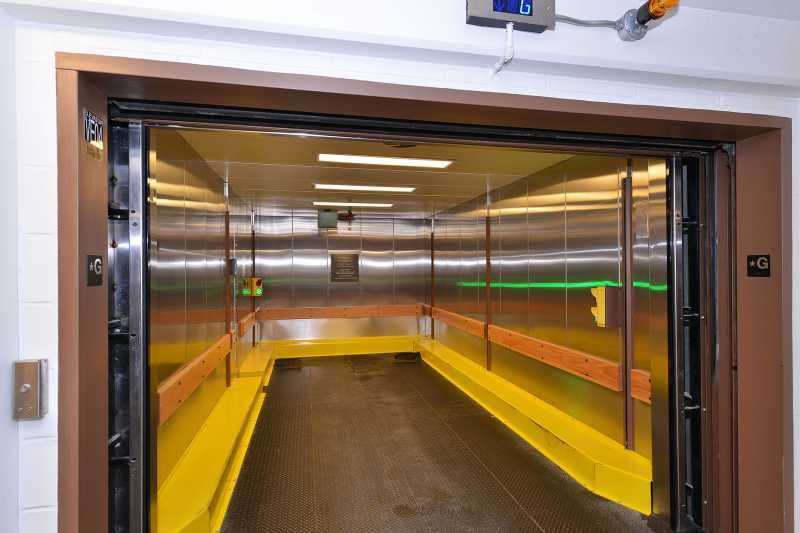 Please note Parking is not available with this rental. 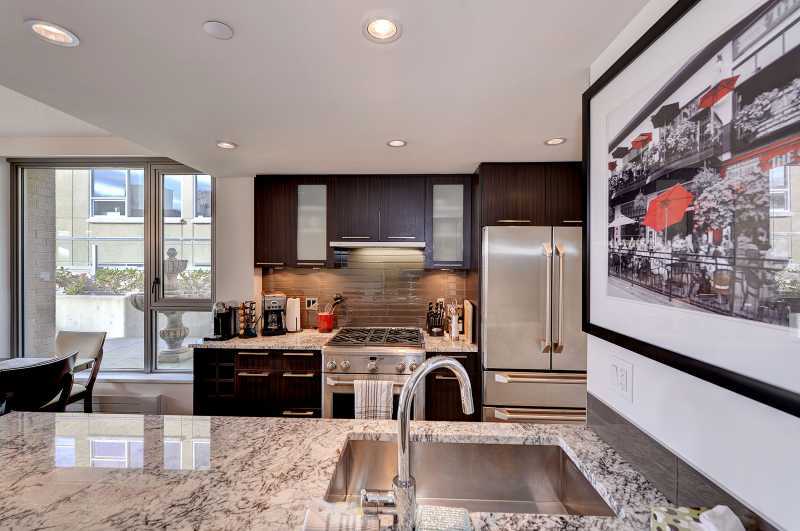 There is public pay parking across the street in the parking garage.